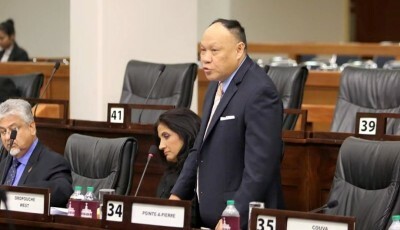 The lies and betrayal of our citizens by this Government pertaining to Petrotrin continue to unfold and become evidently clear given the latest statements by Chairman of Trinidad Petroleum Holdings (TPH), Wilfred Espinet that a Request for Proposals (RFP) has been issued for the newly formed Paria Fuel Trading Company. The move to offer Paria Fuel for sale comes as a “slap in the face” to our citizens who are still coming to terms with the fact that our nation’s “economic jewel” which for years has built and supported this nation was torn apart by this administration to the detriment of thousands. It is unacceptable that the Government through its point man Espinet chooses to operate as if these state assets and companies belong to them or are private entities which they can “wheel or deal” as they like. 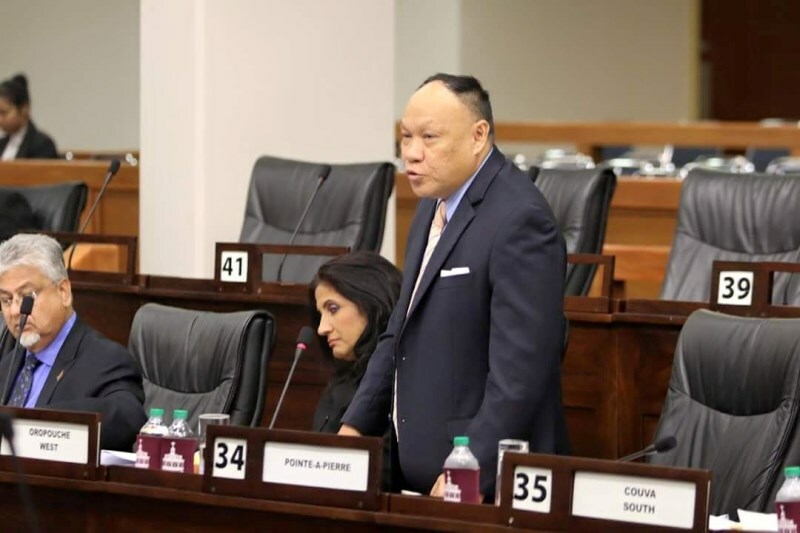 Espinet and the Rowley regime must be reminded that these assets belong to the people of Trinidad and Tobago. Issues such as these which concern the “people’s assets” should have been brought for discussion and scrutiny to the “people’s house”, our Parliament via the Parliament oversight Energy Committee which has not been convened since February 2018. This is the Committee that should have been tasked to ask these new companies questions about their new business models and what would be done differently to ensure our resources are protected as well as properly utilized for the benefit of our citizens. In essence, inquire as to how they would operate differently from Petrotrin. What has resulted is a veil of total secrecy by this Government concerning all issues surrounding Petrotrin and its new subsidiaries. From the start their actions have been geared towards positioning these entities in a manner for this nation’s patrimony to be sold off. As opposed to providing answers on the timeline when these companies would become profitable as promised by the Minister of Energy, they are placing them on the chopping block to be sold free of debt, free of unions and all other issues which now make them very financially attractive to the private sector. This government has really “pulled wool” over the eyes of our citizens as these plans were never about saving Petrotrin, they were strategically aimed to take the assets out of the hands of our citizens and place them in the pockets of private entities. It is clear that more hardship awaits our citizens because the sale of Paria would mean the total removal of all subsidies and an increase in fuel prices. Our citizens would now be at mercy of those who seek profit and not their welfare. Even more detrimental is the job losses that loom with the possible closure of National Petroleum (NP) which would no longer be needed as the new owners of Paria Fuel would most likely undertake their own distribution. When the Government announced the restructuring of Petrotrin they said Paria’s aim was to generate profits for our nation but from the very beginning we in the Opposition told them that shutting down the refinery would make no financial sense. 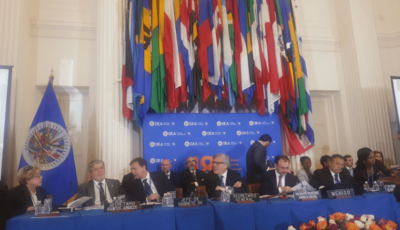 We warned them that this would jeopardize our nation’s fuel security and further, the Caricom market they boasted about would not be feasible with this proposed business model as these countries would now look elsewhere to cheaper providers. They chose to ignore these calls and spread a narrative that we didn’t know what we were talking about. Now less than six months later we are forced to listen to the “foolish rationale” of Espinet that Paria Fuel Trading Company cannot be profitable and there is no need to remain in the business. This is totally contradictory to what they told the nation before and gives the impression that this was a “big con job” perpetrated from the very top to benefit a few. Espinet must now tell this nation who our revenue streams are being sold off to? What procurement method is being used to sell off the assets of our citizens? What measures are being putting in place to guarantee our nation’s fuel security and price stability? It is time our people and all unions say enough is enough before it is too late!